This exhibition will illuminate the key role that the Holy City played in shaping the art of the period from 1000 to 1400. While Jerusalem is often described as a city of three faiths, that formulation underestimates its fascinating complexity. In fact, the city was home to multiple cultures, faiths, and languages. History records harmonious and dissonant voices of people from many lands, passing in the narrow streets of a city not much larger than midtown Manhattan. This will be the first exhibition to unravel the various cultural traditions and aesthetic strands that enriched and enlivened the medieval city. Over 200 works of art will be gathered from some 60 lenders worldwide. Nearly a quarter of the objects will come from Jerusalem, including key loans from its religious communities, some of which have never before shared their treasures outside their walls. 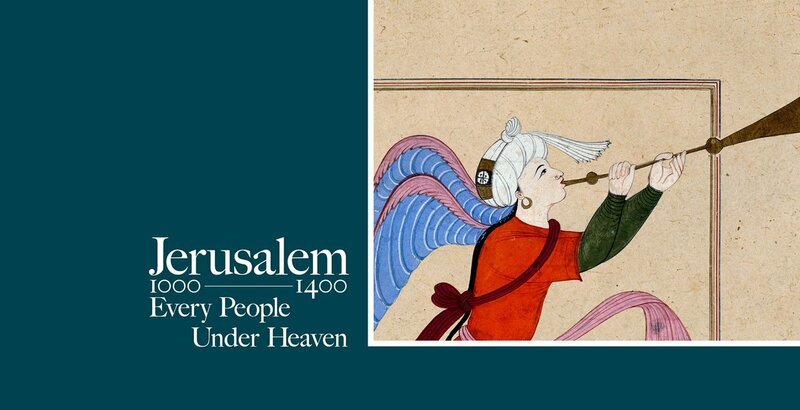 Jerusalem 1000–1400: Every People Under Heaven will bear witness to the crucial role that the city has played in shaping world culture, a lesson vital to our common history. This link is to Met’s web site on the show.